Being a nerd with more than a few obsessive tendencies, I was fixated on this style and was determined to replicate it for my computer. 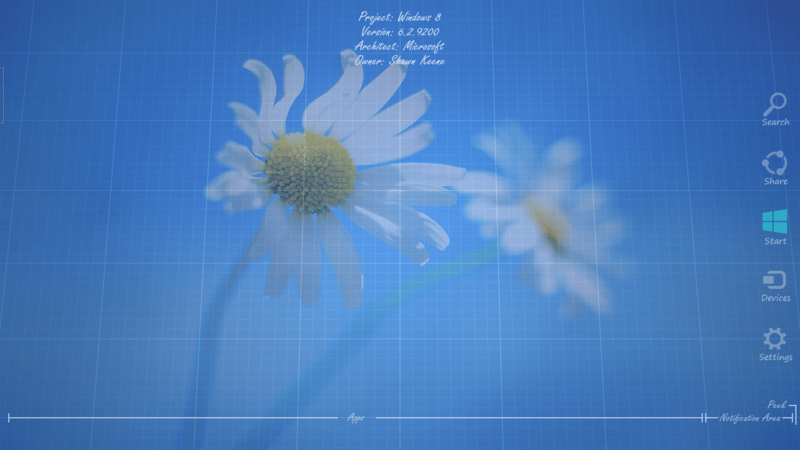 Using then-Macromedia Fireworks (Macromedia was later acquired by Adobe), I sized and layered elements of Windows Vista. 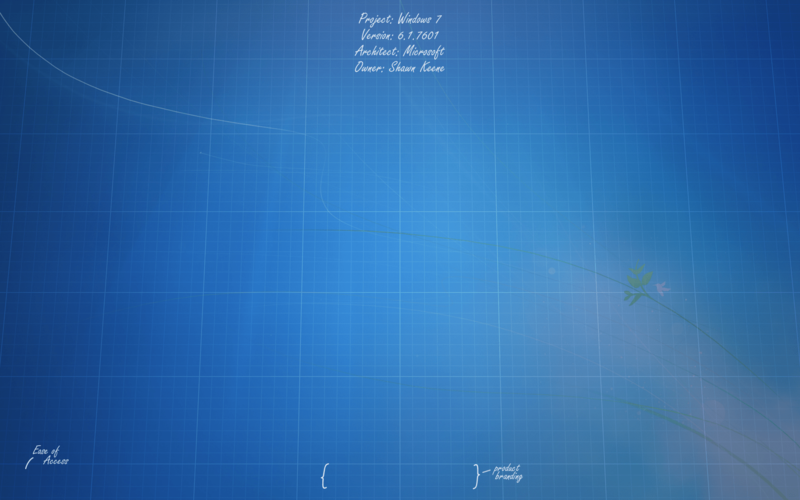 As the anonymous Mac user had done, I used a ghosted watermark of the official default wallpaper behind my blueprint pattern. 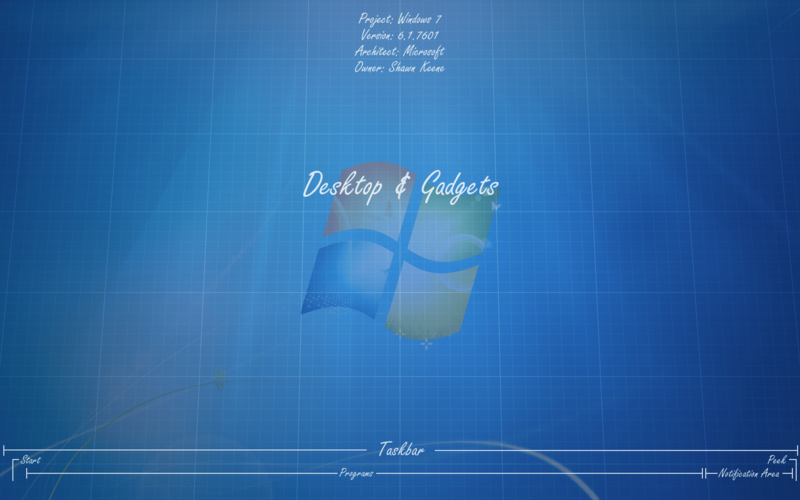 Windows Vista login (Welcome Screen) background, including areas for product branding to display. To apply my custom image, I used a free application from Stardock, a Microsoft partner company, called LogonStudio, which can edit the Welcome backgrounds in Windows Vista or Windows 7. All the backgrounds I’ve created so far are included below for your enjoyment. You’ll notice an interesting trend where every successive version has further reduced and simplified the number of interface elements on the screen. 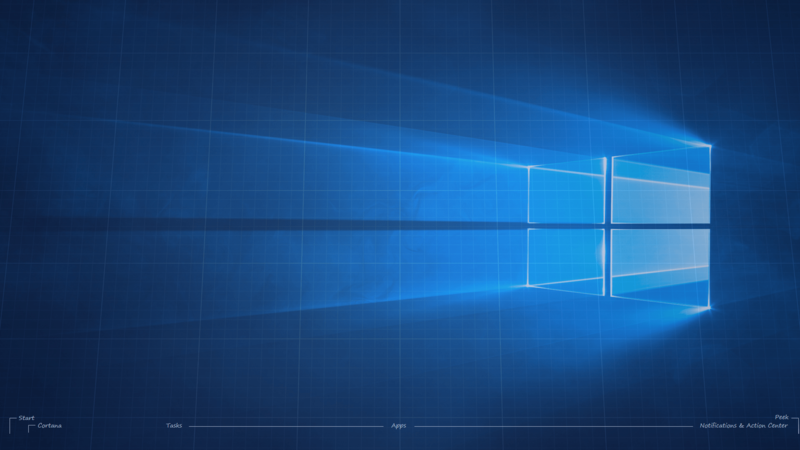 With Windows 8 setting the stage for the desktop to become a historic relic, my next wallpaper may have no schematics at all. Click any image to see or download the full size copy. These are the original PNG layered images, so you can open them up inside Photoshop or Fireworks and edit the images and text to your liking. 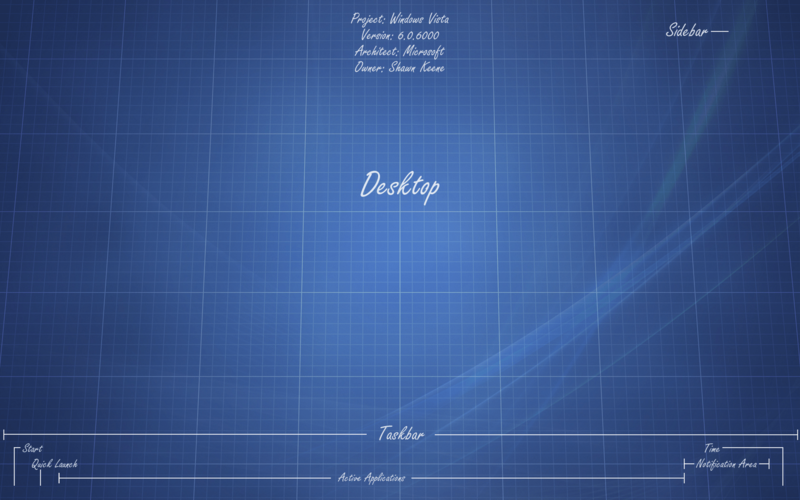 The font I used is a common system font included in Windows Vista and later called Segoe Print. Here’s one I made for Mac OS X Mavericks 10.9.x. Check that out!